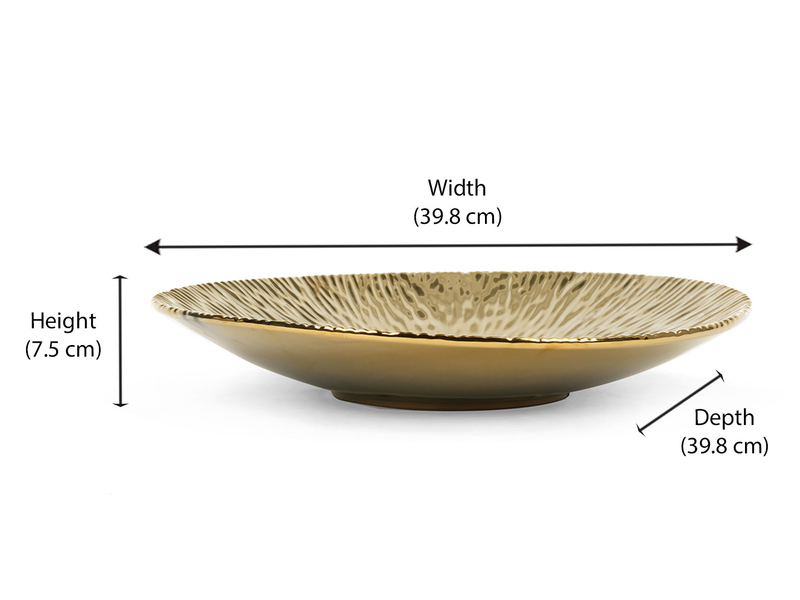 Bring home this tropical leaves gold platter for a little pattern play in your house. Fill it with potpourris for a little aromatherapy and place it on the centre table, or simply use it as a fruit plate on the dining table. With its shiny and textured finish in gold, it adds an instant vibe of opulence. Wrap it up beautifully to make it an anniversary gift for a friend or even a wedding gift. It's hard not to like this piece of ceramic art.